In this involving political thriller, a secret French paramilitary organization plans to assassinate French President Charles De Gaulle (Adrien Cayla-Legrand) because of their disagreement with his policies during the Algerian War. 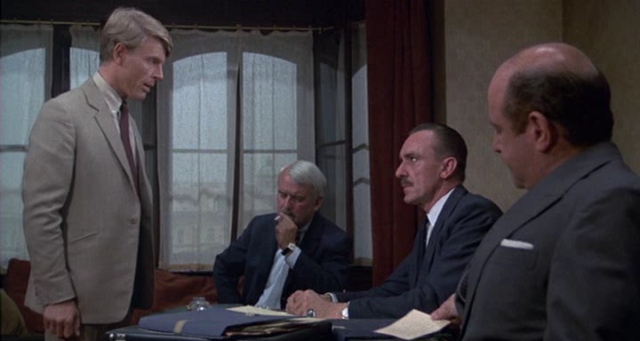 They hire a professional killer, known only as “The Jackal” (Edward Fox). 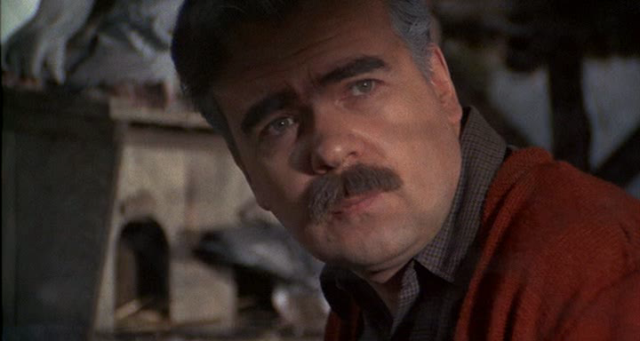 The police learn of the plot from an informer, and police investigator Lebel (Michel Lonsdale) cleverly pieces together the clues to the Jackal’s identity. 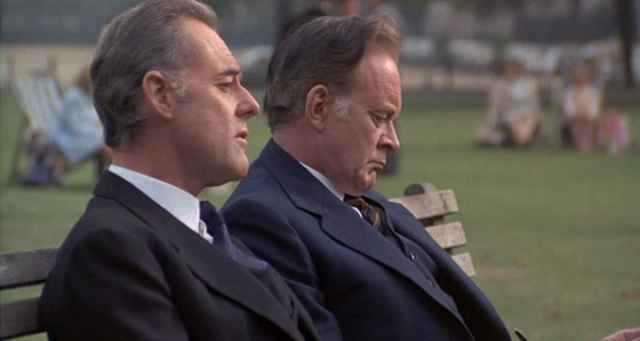 The complicated plot uses parallel editing to cross-cut between the details of the Jackal’s preparations for the assassination and Lebel’s efforts to find him before it is too late. Fred Zinnemann presents the story, faithfully adapted from the book by Frederick Forsyth, with precise, dramatic flair. Edward Fox is coldly alluring as the Jackal. 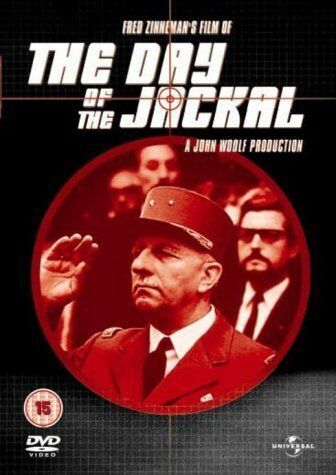 Well acted and directed, Day of the Jackal is a tense and engrossing political thriller with a surprising ending. 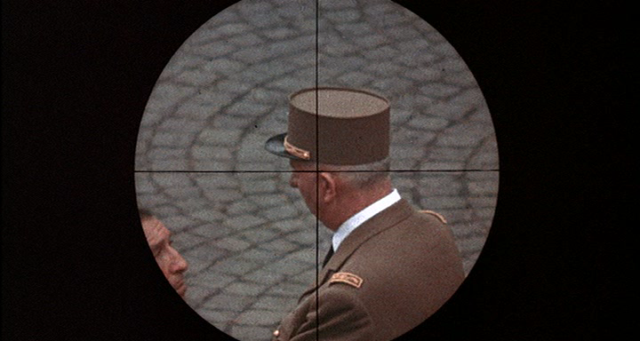 Considered one of the superior 1960s/1970s spy thrillers, Fred Zinnemann’s adaptation of Frederick Forsyth’s bestseller combined an eye for stylish European locales with a chillingly detailed account of an assassin’s mission to kill French president Charles de Gaulle. 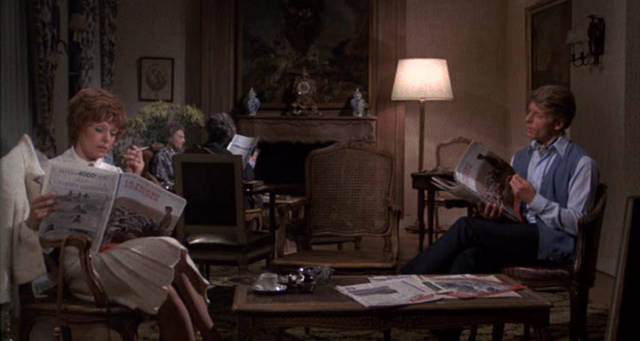 Cross-cutting between the Jackal’s preparations and Inspector Lebel’s efforts to find the phantom killer before the crime occurs, Day of the Jackal gains power by focusing on the two opposite jobs at hand rather than indulging in either psychology or gratuitous violence. Devoid of politics and past, Edward Fox’s blond killer embodies the phrase “hired gun”; he may be charming and keenly clever, but he is ominously professional about his work. Still, the question of whether he will succeed becomes as enthralling as whether Lebel will get him; the ending’s sense of random yet pervasive menace was made all the more timely by the contemporary rash of assassinations. 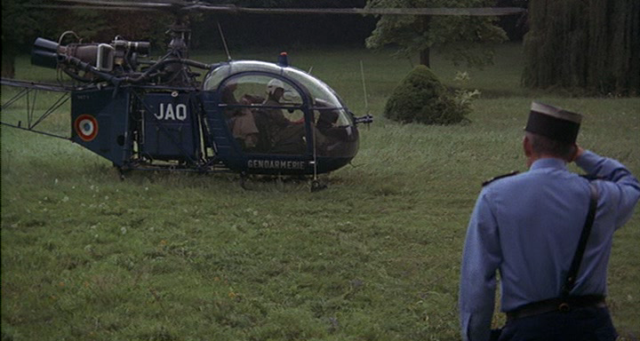 The location photography and the Jackal’s lethal cool more than made up for complaints about plot holes. The film was loosely remade in 1997 as the more flashy and violent The Jackal.